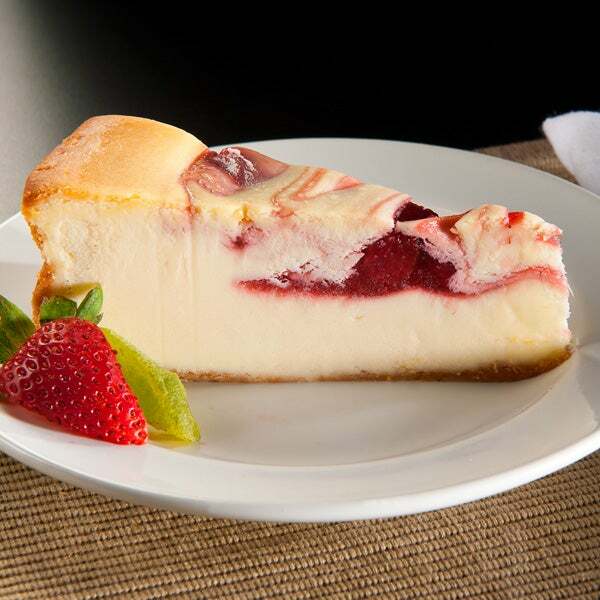 Strawberry Cheesecake is rated 4.8 out of 5 by 4. Rated 5 out of 5 by CourtneyL from Yummy... This is my first time ordering from them. This cheesecake is very good! The strawberries were cold and fresh as well. Rated 5 out of 5 by Jim in Ohio from My wife enjoyed the gift. My wife likes the New York Style cheesecake. She prefers the strawberry topped New York Style cheesecake, but says the one that was in stock is good also. The chocolate chip cookies are good also, says my wife who was the recipient of the gift. Rated 5 out of 5 by AngieK from Delicious Treat I purchased a Strawberry Cheesecake for my mother's birthday. It was delivered to her and she was very happy and very please the way they packaged her cheesecake. The taste was wonderful and most of all it was nice and fresh. We will order again with this company. From me and my family especially my mother we would like to say ThankYou. This flavorful, New York-style cheesecake is sure to satisfy even the most sophisticated sweet tooth. With a mouthful of sweet strawberries in every bite and a slight hint of lime, this delectable dessert introduces a unique spin on a classic favorite. The finishing touch is a light, buttery graham cracker crust. There isn't a better birthday cheesecake gift out there. 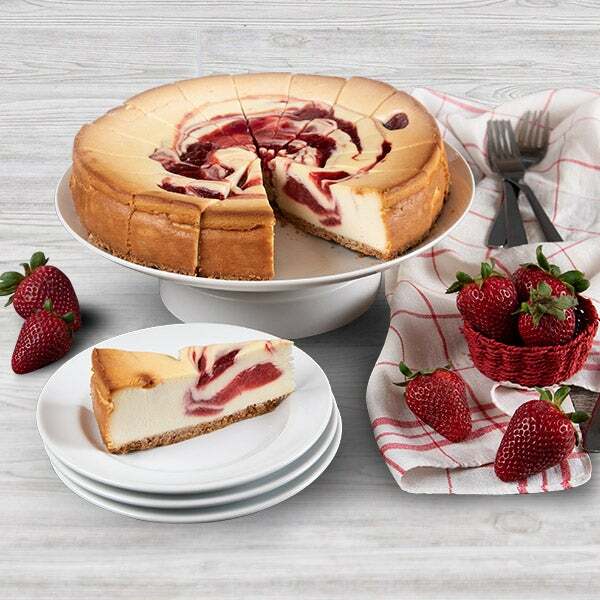 Cheesecake lovers rejoice!